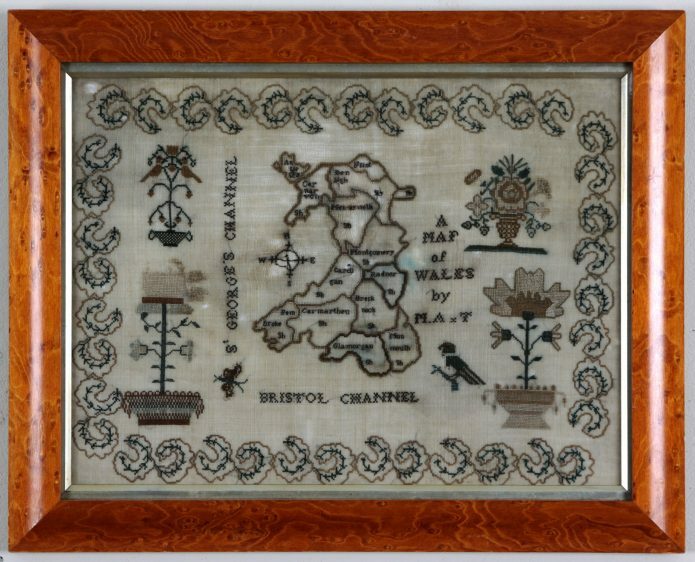 A rare early 19th century “Map of Wales” sampler. Georgian & Regency map samplers depicting the British Isles are found fairly requently, but examples showing just Wales are rare. The maple frame is later and there is some loss to some small areas.